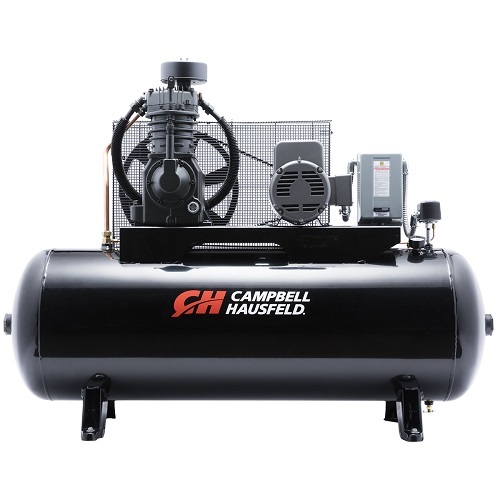 The Campbell Hausfeld 80-gallon, 7.5 hp, horizontal, two-stage air compressor (CE7005) is ideal for auto repair facilities and tire repair outlets. 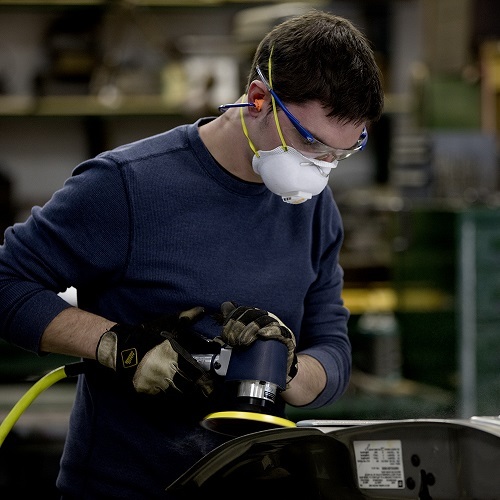 This air compressor has a high air flow of 25 CFM @ 90 PSI to power multiple, high-demand air tools. Its industrial-rated NEMA motor operates on single-phase electrical power, driving a long-life, cast-iron, two-stage pump that's designed to deliver more than 15,000 hours of operation. The pump head and valve plate feature an advanced design with Viton(r) high-temperature O-rings for superior high-pressure sealing when compared to paper gaskets. For smooth, low-vibration operation, the crankshaft is fabricated of ductile iron and optimally balanced. We purchased this compressor a few months ago and recently installed. After about 20 to 30 hours of operation the oil turned milky white. We change the oil a couple of times to ensure that we completely removed what appears to be moisture in the reservoir. We purchased this unit through Northern Tools. After contacting them about the problem we were directed to Campbell Hausfeld to discuss the issue. They informed me that apparently moisture was being sucked into the intake during operation. I assured them this is not the first or our only compressor at my business and that we had installed similar to our other compressors. Outdoor under an adequate shelter to prevent any rain water contamination. She (Marsha) advised me that this unit should be installed indoors preferably in a heated environment to prevent any potential condensate or moisture build up. Told her I was not aware that this was an indoor compressor, nowhere on cut sheet for the CE70050 model does it reference that fact. Buyer beware.